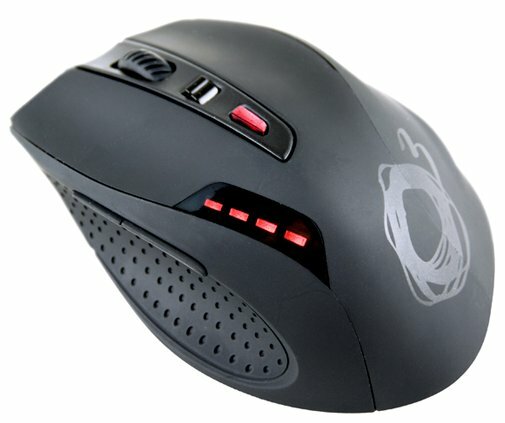 Ozone released the Radon Opto, a new optical gaming mouse with a 3500dpi sensor. After the success of Ozone Gaming mouse Radon, in 3k and 5k versions, the gamers peripheral company is back a year later to present Radon Opto. A professional-level gaming mouse, with the same quality of his predecessors, while retaining the advantages in terms of ergonomics and customization, but with the precision that optical technology provides to this kind of devices. Radon Opto has a powerful Avago 3090 optical sensor with up to 3500 dpi resolution, more than enough to achieve extreme accuracy. These levels of resolution combined with the internal capability of optical technology to recognize the work surface with a high level of detail, offer an excellent response especially in FPS (First Person Shooter). The new “Opto” version of the Ozone Radon gaming mouse preserve the ergonomics that had been seen in previous laser versions, cause "if something works why change it?" Said Francisco Jimenez, Ozone Gaming Commercial Director. So Radon Opto presents a completely rubberized body for easy grip and lateral reinforcement of this material also for optimum thumb grip, and therefore greater control over the movements. Regarding to resolution Radon Opto offers 4 sensitivity levels that can be skipped by simply pressing a button, 450 / 900 / 1800 / 3500DPI, designed to suit any situation, style and level of play. Radon Opto also has the ability to store profiles previously created in the software attached being able to include certain levels of resolution along with macros and scripts and storing them in memory of the mouse. “Many people praise this feature of Radon, because it is quite comfortable and useful, especially when moving or playing on another computer, save our custom presets to detail in the mouse memory itself without external elements for loads" comments Francisco. Radon Opto has been designed with the same concept of precision as a weapon, in which even the smallest detail counts, that's why Ozone offers the possibility to customize even the weight of your Radon with an included 5 weight set of 4.5g each. Radon is a mouse that has the ability to reinvent itself to cover the needs of the more demanding gamers, thanks to its many customizable features. Therefore, your radon can become a lethal weapon, accurate and silent, or a comfortable mouse for intensive use. It has a high level prediction and reporting system, with a 1 m/s recoil, which is a great advantage to consider when we are speaking about gaming or users that need high precision in their movements as graphic designers. However, Radon is also a great option to consider when we speak about everyday users, thanks to its ergonomic design that allows you to use it for several hours with maximum comfort. Glory is just a few clicks away. Reach it. Adjustable weight (includes 5x 4.5g weights).